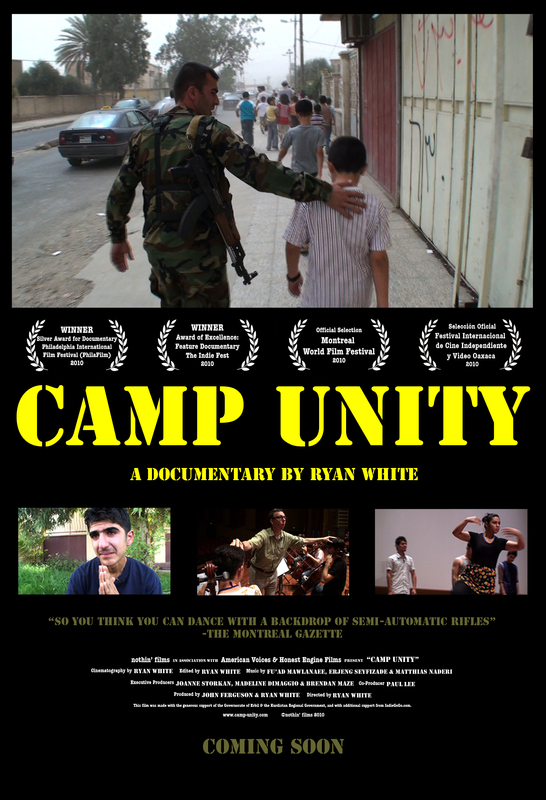 Ryan White’s first feature, CAMP UNITY, is an award-winning documentary about performing arts students in Iraq. Called “A moving portrait of the power of art and cross-cultural exchange” by the Monterey Herald and “So You Think You Can Dance with a backdrop of semi-automatic rifles” by the Montreal Gazette, the film had its international premiere at the 2010 Montreal World Film Festival, won a Silver Award for Documentary at the 33rd Philadelphia International Film Festival, and was honored with the Bassel Shahade Peace & Social Justice Award at the 2012 Syracuse International Film Festival. In April 2013, CAMP UNITY will have public screenings in Northern California, upstate New York (as an Official Selection of the Buffalo Niagara Film Festival), and in Chennai, India. 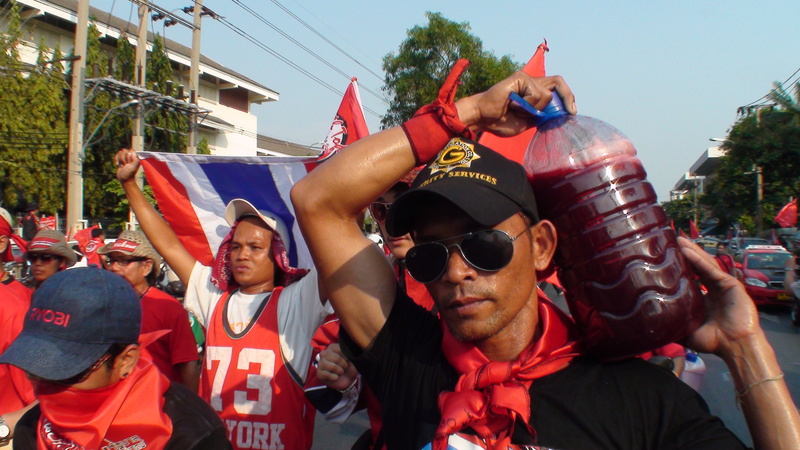 From the short film BLOOD – A red-shirt protester carries a jug of human blood in Bangkok, Thailand. Ryan’s short documentary BLOOD is about a political protest in March 2010 that used human blood to put a curse on the former government of Thailand. Constructed entirely from observed material, BLOOD examines both the culture of the protest and the media frenzy surrounding the event, and in doing so reflects on issues of propaganda, social inequality, and exploitation. The film was awarded Best International Indigenous Film at the 15th Native American Indian Film Festival of the Southeast (Nov. 2012), and it has recently screened at the Chennai International Human Rights Film Festival in India (April 2013), the Dhaka International Short & Independent Film Festival in Bangladesh (Dec. 2012), the International Ethnographic Film Festival of Quebec (Jan. 2012), the Athens Ethnographic Film Festival (Nov. 2011), and the Anthropology Film Festival at the University of British Columbia (May 2011).